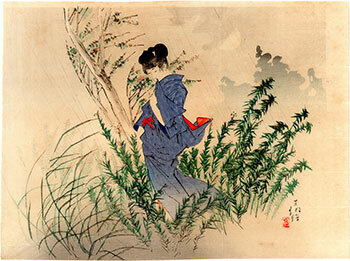 Beautiful woodblock print of the kuchi-e (口絵) type, taken from vol. 7 n. 16 of the famous literary magazine Bungei Kurabu (文芸倶楽部) and made by the artist Yamanaka Kodo (山中古洞) as the frontispiece of the novel "A Late Autumn Shower" (片時雨). 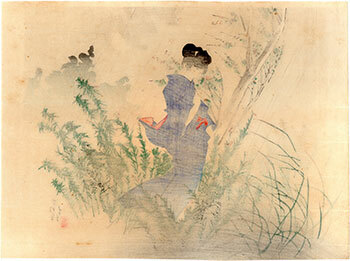 Yamanaka Kodo (1869 - 1945) was one of the last students of Tsukiyoka Yoshitoshi (月岡芳年). 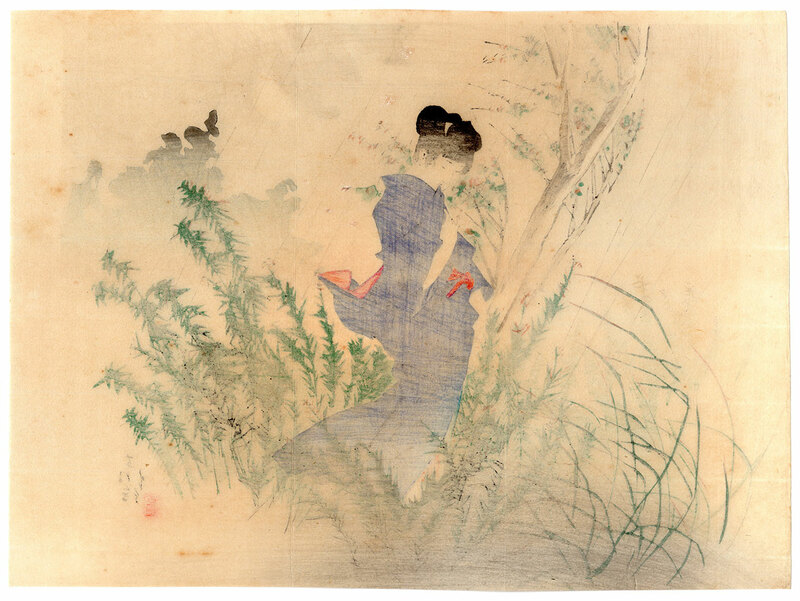 His artistic activity ranged from kuchi-e to prints depicting bijin (美人) and landscapes. In the last part of his life he concentrated on the production of woodcuts depicting famous actresses. The print, published in 1901 by the Hakubunkan (博文館) publishing house, despite the right signs of aging is in very good general condition.